In my previous post I explained why building a reputation always used to come before building a brand – and that doing it the other way round is putting the cart before the horse. However, in today’s instant society, where appearances count for more than anything, this process has been reversed – marketing and design orthodoxy now has it that a start-up business cannot pass GO until it has spent a small fortune on getting its identity nipped and tucked, polished and buffed. This creates a dilemma for start-ups. Do they spend a load of money up-front creating an image for a business they hope to grow over the coming months? Or do just begin trading, get some satisfied clients, create some cash flow, then worry about how they are perceived in the wider marketplace at some later date? If you know you are going to be big the moment you launch then you need to get your branding totally sorted before you start, by professionals. The launch of KNOWHOW, the Dixons Retail after sales service, is a case in point. They already had a massive customer base and started with 500 technicians on the road, 1,400 experts in their UK Contact Centre,1,000 engineers in their repair lab and 700 installers fitting new household appliances. Dixons therefore commissioned Loewy, the communications and branding consultancy to deliver “the positioning, service development and brand identity” before the launch – in that situation it was obviously the right thing to do. Trading exclusively online? Get your image sorted first. If your relationship with your customers is entirely online then the image you project is hugely important. You need to look “reputable” even if you’ve just started trading – you might be working out of the garden shed, and have no clients…but you cannot afford to give that impression with an identity and a website that looks horribly home made. In this instance you need a website that’s fit for purpose, that looks good, and which people can find. This will cost you money, but it’s unavoidable. Having said that, don’t spend money on things that are not strictly necessary – if you spend £5000 on a logo, rather than £500, will customers really notice the difference? But what if you are not going to start big, or don’t have client relationships that are entirely virtual? Working face-to-face? Forget all about branding! Every year a huge numbers of sole traders, small partnerships and micro businesses are started in the UK – they offer everything from project management to software development, sales training to book keeping, health & safety advice to business mentoring, IT support to sustainability consultancy, telephone answering to financial planning. Generally they are already experienced in their field and simply decide to go out on their own. They already have some contacts and clients who will give them work – even if they don’t have a website, or even a business card. If you are one of these guys you need to concentrate on doing a great job, on every job. This will then lead to more work from existing clients, and to word-of-mouth referrals. Build a base of satisfied customers, then leverage their value by writing short customer success stories which you share through your website, social media and face-to-face networking events. What you don’t need to do at the early stages is spend huge amounts of time and money on navel gazing with consultants who’ll analyse your positioning, draw up detailed marketing plans and define your messaging. Or on branding specialists who create a range of logo options, produce corporate identity guidelines and prepare tone of voice management protocols. In this situation you, your work, and your satisfied customers, are all the brand you need. OK, a business card, very basic website and a simple Linkedin profile would come in handy, but these are not really the things that build your business – people hire you because they’ve met and liked you, or because a mutual contact has recommended you, not because you have a great set of corporate identity guidelines, a clever strapline, a funky logo, a glossy brochure and a website with all the bells and whistles. Later, when you’ve established a great reputation, and want to spread it further afield to those who don’t know you and your customers personally, you might want to spend more money on marketing and branding consultants. Till then, save it! I was all set to disagree with you, then you pointed out that things are different in the digital world. Online you have to have a nice, clean, branded website if you don't want people to mistake you for a scam artist. It doesn't have to cost a fortune - $300 US will get you started - and your online brand can grow as you do. yes, if your business is 100% online then your branding is everything, as that's all people can see of your business. But in businesses where you build your customer base face to face (financial advisor, HR consultant, sales trainer, IT support, plumber, book keeper? ), one at a time, and relying heavily on referrals, you are probably better just getting out and meeting people, networking etc. And if your logo, business card, website etc are really basic it's probably not going to hold you back that much. To keep the article short I've had to simplify a bit. Some people have commented on Linkedin that you can build your business and brand bit by bit, at the same time. That's good advice also. The best advice probably starts with "It all depends..." but I just wanted to give some encouragement to those who were agonizing unnecessarily. Read your last two posts with interest and don't want to be hostile to your thesis but, working on the basis that no publicity is bad publicity, here’s my alternative to your 'Brand vs. Reputation' debate. To be honest, I think it's a non-debate because, to all intents and purpose, there's no difference between 'brand' and 'reputation'. I’d suggest a better question would be ask what is actually mean by 'reputation'. Wikipedia says: "Reputation of a social entity (a person, a group of people, an organization) is an opinion about that entity, typically a result of social evaluation on a set of criteria." This reminds me that, when it comes to selling stuff, reputation (‘his reputation goes before him’ - good or bad) will let a buyer know if they can trust a product to be worth the price it is asking. Trust was the reason 19th Century manufacturers started branding their goods in the first place - to reassure their customers they were buying the Real McCoy rather than a counterfeit. So, in that sense, a brand was, and always has been, a tool for protecting your reputation and thus maintaining trust. In the modern world, consumers form their opinions about products and services from a range of influences - most importantly, as you say, ‘word-of-mouth’ for small businesses. A good local plumber never needs to advertise because all his business comes from word-of-mouth. So does that mean a plumber doesn’t need a brand? 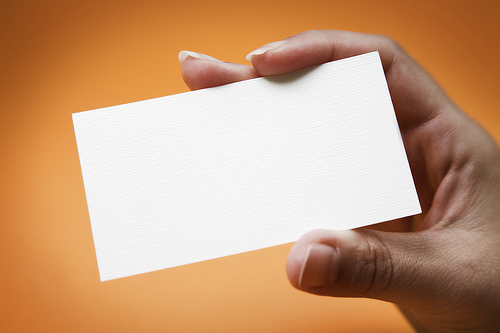 In your blog you acknowledge that a ‘a business card, very basic website and a simple Linkedin profile would come in handy’. But what are these if not the staple elements of a brand? And upon what criteria should these elements be designed if not to attract a potential customer new to the area and looking for someone to fit their new bathroom? What business, however small, is not interested in picking up new customers from the myriad opportunities offered via social media? As soon as you ask this question the dread word ‘Brand’ will appear in the conversation because that’s more than just word-of-mouth reputation. So I don’t think the problem is anything to do with the difference between ‘brand’ and ‘reputation’. Rather it’s about what ‘Branding’ tends to be associated with and what your post doesn’t help to explain. I think this is the crux of the issue raised in your blog posts. If we accept that ‘brand’ is just a catch-all term that describes the many ways your ‘reputation’ is created, then it is neither good nor bad in itself. Rather, it’s a neutral thing that we can choose to either manage or ignore. I suggest that any business owner interested in growing their business should at least attempt to manage it. In the SME environment there’s a tendency to see ‘branding’ as a pejorative, disparaging, derogatory, or belittling term dreamed up by marketing men looking to make a quick buck from unsuspecting hard-working small business owners. As such, it becomes a convenient excuse not to ‘do’ any marketing because its all just a rip-off. But is there any basis in this assumption? The irony is, whether they like it or not, every SME in the land is influenced by the things they are communicating through their brand. If they offer lousy service or their workmanship is sub-par, then their reputation will be damaged. By that definition, the standard of the service they offer is part of their brand. I suspect your post is really a criticism of so-called branding consultants who sell expensive marketing services to small businesses. I’m sure that happens and some small businesses owners will spend money on stuff they don’t need. But its far more likely that a small business owner won’t spend any money at all on marketing - and that’s much more of a problem. The failure rate for small businesses is horribly high. Only 1 in 4 will ever turn a profit and telling them they don’t need to think about their brand won’t help that number get better. Rather, it tells them what they want to hear. Consequently, they don’t need to think about the best practices of running their business effectively. Good marketing needn’t be expensive. An SME can do a lot of it for themselves for free. They could start by engaging with potential customers in a open-minded way and finding out what prospective customers want in the first place. This would then feed into their understanding of their brand and how to make it and their reputation more attractive. As a result of that they’d enjoy more sales. I seem to have gone off on one there... Sorry. Hey, Graham, your comment is almost as long as my post (and my post wasn't short). It's a great comment, and I have to agree with pretty much everything you've said. You're bang on with the para that starts "I suspect your post is really a criticism of so-called branding consultants who sell expensive marketing services to small businesses....", that's exactly where I was coming from. Reputation and brand, as you say, are pretty difficult (impossible?) to disentangle, and a few people have commented via Linkedin it's not a case of either/or, but doing them hand in hand as the business develops. So I've probably received better food for thought than I've given (!). I think it probably is a non-debate (with hindsight). But I do hate it when I see a small businesses paying for more expensive branding and marketing services than they need.